Hello Beauties! If you've been reading my blog for a while, then you'll probably know that when it comes to makeup, I'm a luxury girl through and through. I don't mean to be a makeup snob, but I much prefer to save up and get that one thing I've been lusting after instead of three things which I'll use for a little bit and then cast aside. That being said, I'm aware that there are some real gems on the high street and I do have a few pieces which I use on a daily basis, plus I'm always open to discovering new makeup, whether it be high street or high end. Today I thought I would share with you some products which I've been testing from Seventeen Cosmetics and let you know which ones were hits and which ones were misses. When I saw that Seventeen had their own brow kit, I couldn't wait to give it a go. 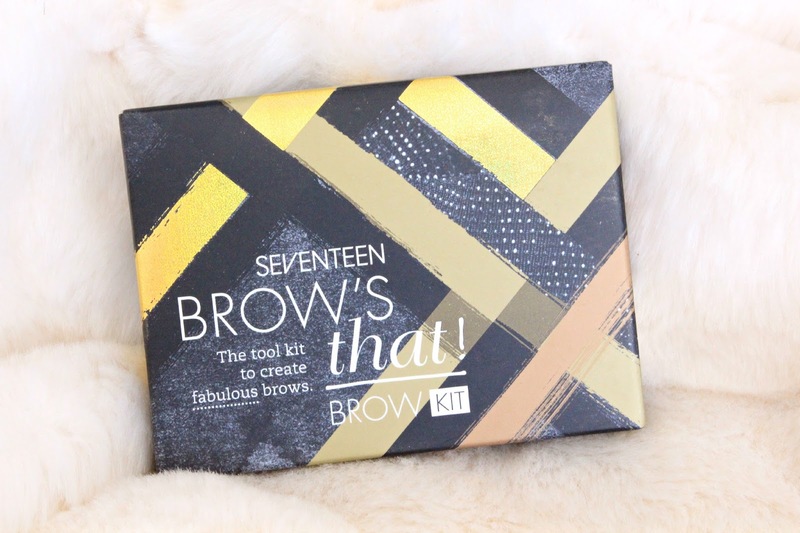 I normally use Browzings by Benefit Cosmetics and was interested to see if this would turn out to be a dupe and end up saving me some pennies in the long run. 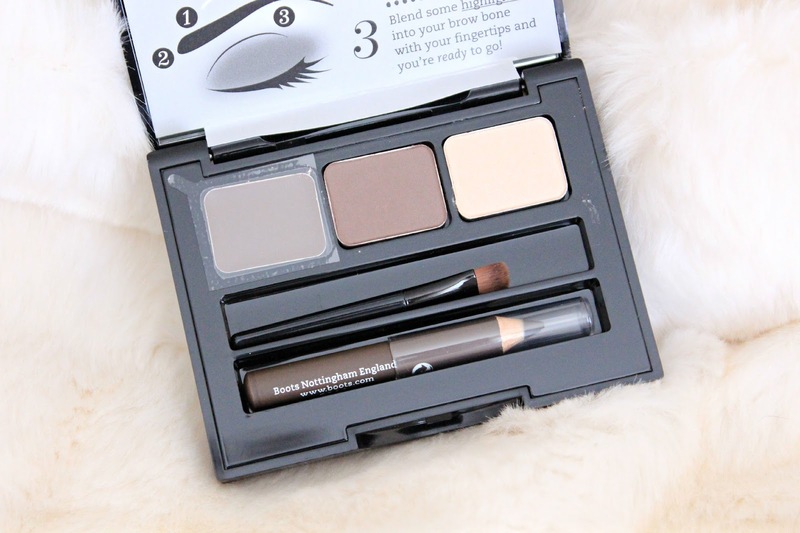 The kit contains a brow wax, brow powder, brow highlight, brow pencil and a little brush for the powder - although I never use the little brushes. Essentially, this kit contains anything you may need to fill in your brows. The wax was the first thing I tried and I was pleasantly surprised. The wax looked pretty dark in the pan, however once applied it was the perfect shade and it also wasn't too pigmented. When it comes to filling in my brows, I don't like anything to be too full on colour-wise as I find that it looks pretty un-natural on me. I didn't think too much of the two powders in the kit as they were very pigmented and as I said, I prefer a weaker pigment for my brows, and slightly too powdery. The eyebrow pencil however, was brilliant. It's not too pigmented that it looks un-natural, but it's pigmented enough to properly fill in any gaps in your brows and create a more defined look. Overall, I did like this palette however I don't think it's enough to replace my beloved Browzings just yet. If you're looking for a high street brow palette though, I'd definitely recommend this one as it's the best budget one I've tried! 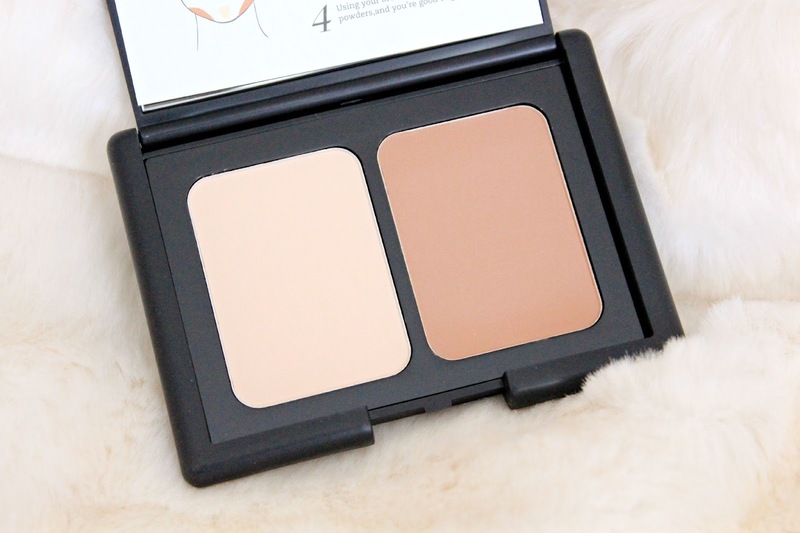 Believe it or not, this is actually the first contouring kit/palette that I've tried. I'm big into contouring as without it my face looks like a football (curse you, chubby cheeks!) but I usually prefer to mix and match the products and brands I use to create a more custom finish/look. However, convenience-wise this product is brilliant. It's so handy having both in a neat little compact, especially if you're jetting off anywhere for a last minute break. Unfortunately, I didn't love the actual powders though. I found the contour colour to be slightly too warm and dark for my fair skin tone and also a little powdery for my liking. The highlight shade was okay, but if I'm honest I do prefer a more shimmery/glowy highlight than a matte one, which is what this palette contains. I don't think it's the worst product out there, but it just wasn't for me colour and finish-wise. If you're looking for a cheap contour palette though and your skin tone is warmer than mine (I wear MAC NW13) then you'd probably love this - just remember to tap the excess off your brush before applying! One of the real hits for me was the Falsifeye HD Mascara. I've tried a lot of mascaras in my time and I usually find that many of them end up clumping or making my lashes look too spidery. I have naturally long and curly lashes which may sound like a dream come true, however it's a nightmare when trying to find a good mascara. 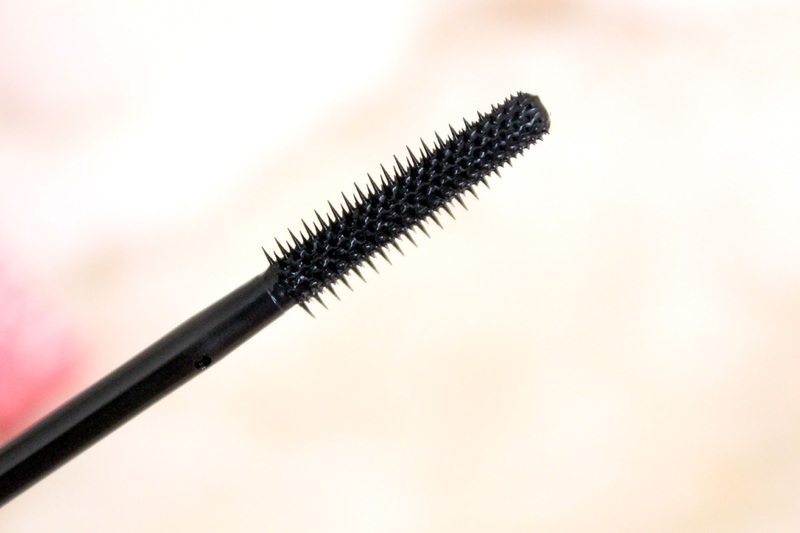 Most mascaras are targeted at short, straight lashes, meaning that they tend to make long lashes look clumpy and it's pretty much impossible to get a nice fluttery look. However, I absolutely love this mascara. It's quite a natural looking mascara, but it makes my lashes look so long and fluttery without giving me that horrible spidery look. I also found that I could wear it all day without it transferring onto my brow bone or under my eyes too, which is always a plus! If you're a fan of the Barry M Gelly polishes, then you'll love these even more. The thing I really love about these, apart from the formula, is the brush applicator. These polishes have a wider brush with a tapered end which I find makes applying the polish super easy and neat. The bottles do say that the mani will last for 8 days, I didn't really find this to be the case but they did last a couple of days on me which I think is quite impressive for me as normally my mani lasts around 3 hours! One of my all time favourite makeup products is the Bobbi Brown Shimmer Brick in Beige, so I was excited to see how this compared. The Seventeen Instant Glow highlighter is slightly more bronze toned than the shimmer brick, so I do have to use this when I'm a little more tanned but overall I really love it. The Bobbi Brown Shimmer Bricks are a little softer, but for a high street product, I'd say this is pretty great. Sticking with the highlighter theme, I've also been loving the Skin Wow Highlighter by Seventeen. For years I've used Benefit High Beam under my brow bone but since finding this it's completely replaced the more expensive Benefit option. I can't stress enough how similar the two products are, yet the Seventeen one is under half the price of the Benefit product, plus you get more product in the Seventeen option - it's a no brainer really! I need to try more from Seventeen - I really want to try the Skin Wow a go! The brow kit was on sale in Boots a while back for something ridiculous like 17p, my friend picked up a load, I don't blame her, could you get better value for money?! I don't own much from seventeen anymore, I always have a look at what's new when I'm in store but nothing seems to grab my attention at the moment. I picked up two concealers from Seventeen a few weeks ago and I am in love with them! So much better than more expensive alternatives that I've tried, I really want to pick up the Shimmer Brick and Highlighter now! 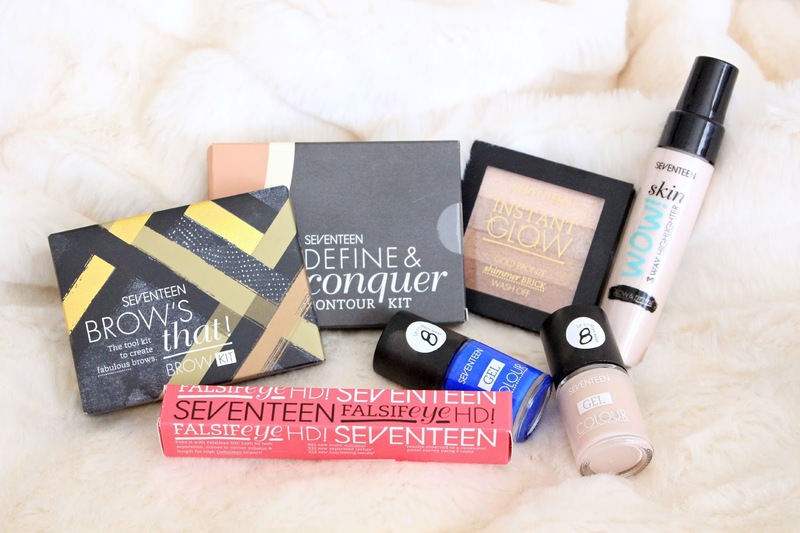 I love the Seventeen Stay Time concealer, to me it beats the Collection one hands down! That mascara is one of my all time favourites, I can never quite believe its from Seventeen! I need that brow kit!! I love your blog! You take great pictures! I love SEVENTEEN. You should try their Doll'd Up Mascara!